When we wait upon The Lord we are empowered with supernatural strength. 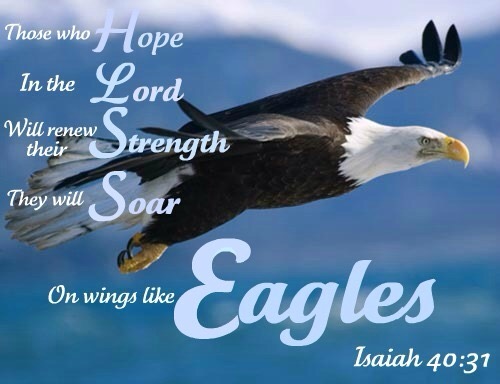 The strength to overcome, to persevere, and to soar to higher heights like that of an eagle. Supernatural strength comes from God. When the spirit of the Lord comes upon you then you are able to do exceedingly, abundantly, far above all you could ever ask or think. 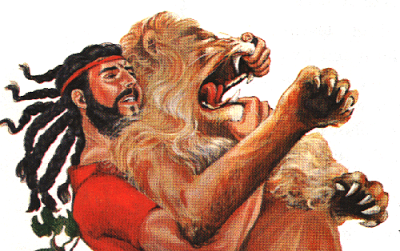 Without the spirit of God Samson would not have been able to tear a roaring lion apart, it is impossible. You see the things that are impossible to man are very very possible to God. The ways of God cannot be comprehended. His ways supersedes human understanding, logic, and reasoning. Without God David would not have been able to defeat Goliath. You see if you keep relying on your own strength you will never be able to fulfill all that the Lord has empowered you to do. Supernatural strength requires patience, prayer, and the presence of God. Naturally nobody enjoys waiting, but if we really desire to see the fullness of His glory then we must put our flesh under subjection, and keep our Spirit man in line with His Word. The flesh must die if you really desire to see more of God in your life. It takes faith, it takes trust and obedience in God to encounter His presence. Let your life be a living sacrifice, pleasing and acceptable into the Lord. Allow The Lord to use you as a vessel for His glory. Your true self can only be found in Christ Jesus. The strength of the Lord shall propel you into your next level if only you give yourself away to Him. Let go and just let God. Quit limiting God for He is limitless. Quit being self conscious, it’s a hindrance to your progress in the Kingdom of God. Go ahead, dance like David danced be free in the presence of God. For in His presence there is fullness of joy! Let His supernatural strength take over your life. Wait on The Lord and your strength shall be renewed, if you don’t you’ll only end up wearying yourself. Life has its fair share of trials, if you don’t keep your eyes fixed on God then you will never see your tribulations. 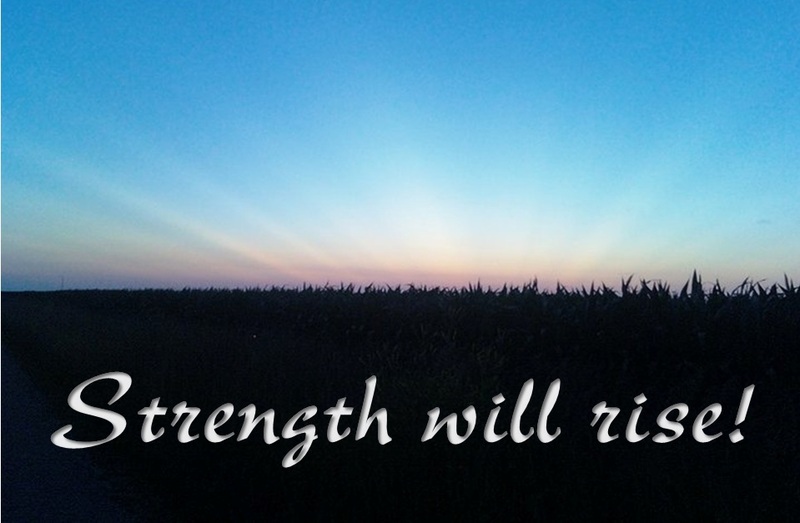 Strength will rise as YOU wait upon The Lord. You have to wait, and when you do you have to trust and obey for there is no other way. Wait on The Lord, and He promises to renew your strength. The world will mock you, but remember you have a God who never fails! Wait on The Lord, and when you do trust and obey Him. He will do just what He said He will do. I pray that the Lord shall empower you. He is your strength when you are weak. Often the blessing comes after you have defeated your enemies. The blessing does not always come easily, and many will not know where and how you got your blessing. They will celebrate with you in good times, but they do not know what it took for you to get there. That’s how it is with the anointing many want it, but few are ready to do what it takes to get the anointing. You have to overcome some lions, before you can taste the sweet blessings from God. To overcome means you need supernatural strength. The bible says since the days of John the Baptist the kingdom of God suffereth violence, and the violent they take it by force! If you want that blessing then you better be prepared to defeat some lions first. There are trials before there are tribulations. Nothing ever comes easy, but if you are diligent and you know who you are in Christ then you will know that you are more than able to overcome all, not some but ALL the devices of the enemy. The Lord is Jehovah Jireh your Provider. When your enemies rise up against you the Lord shall strengthen you to conquer them all. The Lord shall prepare a table before you in the presence of your enemies. In difficult situations God will make a way out for you. When you are bound The Lord shall set you free. The Lord is your deliverer and He shall deliver you. This happens a lot to anointed men and women of God. When we give out His power we need to pray to be empowered again, because the enemy is ready to attack us when we are doing the work of God. when you are having encounters?! No the enemy is not happy in fact he wants you to fall, he wants you to grow faint and weary, he tries to bring counter attacks that is why you must be careful, you must be discerning, and you must be prayerful especially after you have prayed for others. That is why Jesus encourages the church to intercede. There are many demons that the enemy has assigned to attack the church. Watch and be very prayerful. Remember it’s not by might and it’s not by power but by His Spirit. The Lord shall renew your strength. Cry out to the Lord and He shall revive you, He shall set you free. Let Your living waters take over my soul. Let Your Holy Spirit come and take control, and every situation that has troubled my mind. All my cares and burdens unto You I roll. Always pray for supernatural strength, you need it to run the good race for Jesus Christ without His strength you will fall. Always pray for The Lord to go ahead of you, if He does not then do not go else you will struggle. 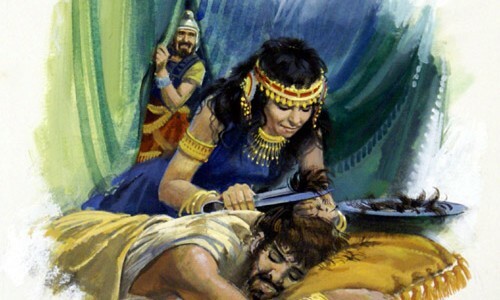 If Samson had not cried out to The Lord in his time of weakness his enemies would have destroyed him. The philistines sought to know the root of his power, it’s not everyone that should know your destiny. He failed to protect his calling, his anointing, his destiny. The enemy will use your weaknesses to defeat you, do not give him the chance. Leave people to question the anointing you carry, leave them to try to figure out your destiny. Just keep your eyes fixed on God. Samson exposing the root of his strength cost him his life. Be very prayerful and discerning in spirit. 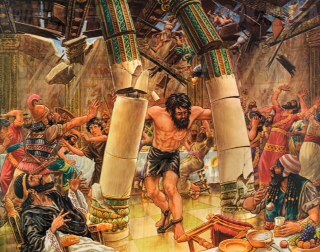 Samson killed more philistines than he did when he was alive, but yet he still died. Do not allow the enemy to diminish the fire, to put out the Light, to destroy the power, to weaken your strength. Every man and woman of God in the bible had a weakness, and the enemy would try to use that to defeat them, but Jesus overcame! We have the power to overcome. Expose the devices of satan, but do not expose your destiny. Cry out to The Lord, for when you are weak He is strong, and always remember The Lord is mighty to save. Remember in your weakness He is merciful. He is a never drying Fountain. His Cup never runs dry. Do not allow your enemies to disgrace you instead disgrace your enemies with prayer. The enemy wants to set a trap for you, overcome him with prayer. Continue to do the work that The Lord has called you to do, and do not be afraid for The Lord is with you. Arise, and go in the strength you have. Do not give up, for The Lord God Almighty is your strength!